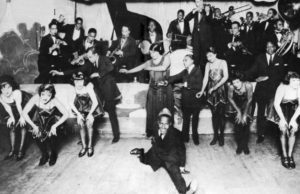 All About That Jazz: Small act. Big hit! I defy you, dear reader, to find one person (well one who has amounted to anything) who thinks there is anything better than watching a bunch of your friends raising the roof putting on a jazz show at a theatre in your neighbourhood. Go on, I dare you: Ask everyone at your local tonight. 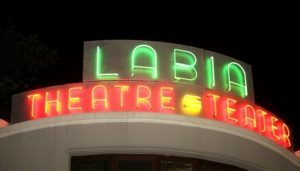 I bet you wish it was you who trotted down to the Labia Theatre and watched Gerald Schreiner (vocals) and friends light up the night. Everyone has those friends, the guys and dolls who are dentists and used car salesmen by day, strippers and singers by night. Only some of us can say we have seem them tearing up the boards in The Theatre! Gerald can count us as fans as well as friends after tearing into many classics and ruining none. It takes a courageous man to fearlessly tackle everyone’s favourite song! I couldn’t help thinking that he took Nina Simone (God rest her soul) to another level. 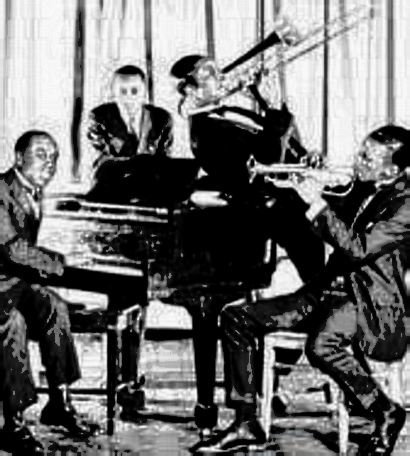 Gerald was more than ably supported by his co-host Emile Minnie (keyboard and vocals), David Bolton (drums), Warrick Moses (clarinet) and Johann Botha (base). 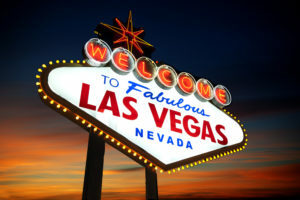 We are all hoping for an encore … and don’t mind travelling to Vegas for it! 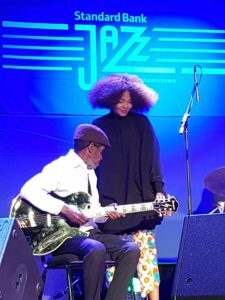 It would have been very difficult to actually upstage Simphiwe Dana on the last night of the National Arts Festival in Grahamstown, but if anyone could it would have to be the legendary South African guitarist Themba Mokoena. 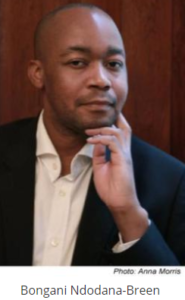 Even when sitting down Mokoena, who is in his mid-sixties, seemed to struggle to keep his feet on the ground. 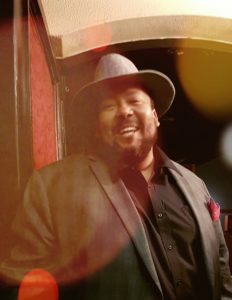 Hugely popular with Dana fans, Mokoena’s passion is obvious, which makes him a delight to watch as well as to listen to. That said, the night belonged to Dana, who seemed at times to be renewing vows with a packed house of dedicated fans. Dana arrived on stage complaining about nerves and quickly launched into Bob Marley’s Redemption Song. Singing mostly unaccompanied, the intensity of this song seemed to banish her nerves. Her version was more like gospel than reggae and gave at least one member of the audience gentle shivers of pleasure down the spine. From there she slowly turned the heat up until the room was crackling with energy. 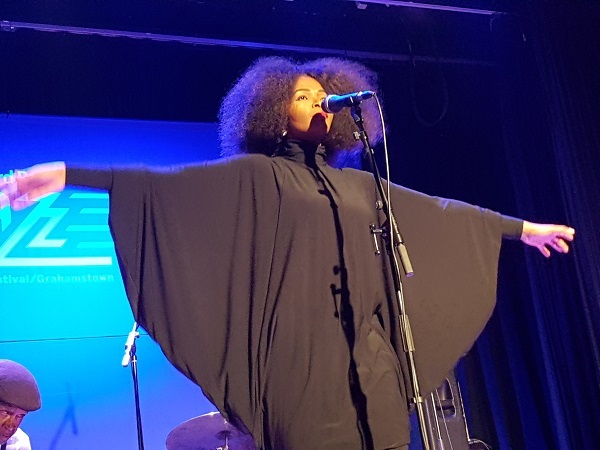 The crowd erupted every time she started one of her own hits, and sang along approvingly when she covered other South African classics, such as Miriam Makeba’s super infectious Aluta Continua. It seemed more personal than political when she noted the importance of the #RhodesMustFall movement and urged young people to continue their fight with “passion, honesty, and integrity”. She also urged South Africans to make more of an effort to integrate with the rest of the continent. 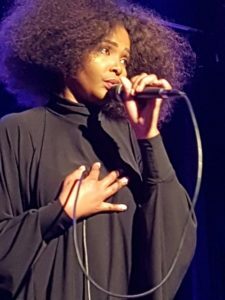 She underscored her point with a lovely cover of Malaika, the Swahili song written by Tanzanian Adam Salim in 1945 and made globally famous largely by Miriam Makeba’s recording. The conversation between Dana and the audience flowed throughout the show, which ran for nearly two hours, making a large, packed hall feel very intimate. At one point she asked if anyone would like to join her on stage and five people ran up. Each of them did a little dance for the audience, one of them literally dancing until he dropped or, rather, until he fell backwards coming out of a very high kick. That didn’t seem to knock him off his stride for long though, he was soon back up lifting Dana off her feet a big bear hug. 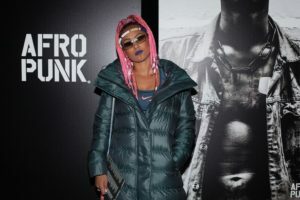 Despite a little competition from fans and the unstoppable Mokoena the night really was the gorgeous Simphiwe Dana. 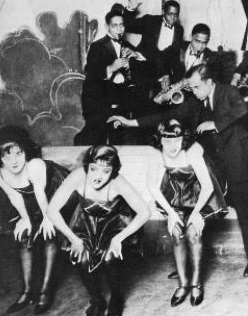 Ladies of Midnight Blue starts out gently, playfully. Two women drumming. It is rhythmic and somehow hypnotic, you follow them down the path. The beat speeds up faster and faster, two people with so many hands on the drums. You are in a trance, you would follow them anywhere. Next thing you know it is you beating the drums with the energy and rhythm of a beautiful stranger. 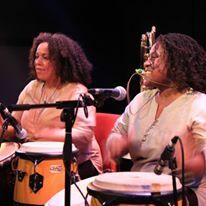 I thought this Afro-Latin percussion and brass duet – Hannabiell Sanders and Yilis del Carmen Surielis – who play instruments as if they were an extension of their body, might start a riot. 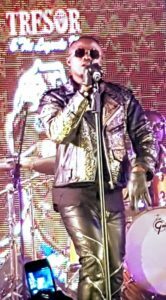 They could certainly have done so but they were just too focused on making love to the songs, the instruments, the audience to start any trouble. Every part of their bodies seems to want to take part, as does every part of ours. Sanders is whispering sweet nothings into her trombone, her feet tapping their own beat and her thighs squeezing a drum between them as if to coax other sounds out of it. Surielis, meanwhile, is a steadying influence, appearing to hold the space and the rhythm like someone holding the string of a kite flying wildly and gloriously on a windy day. A short-ish drive (130km) from Port Elizabeth airport to Grahamstown is just perfect to re-calibrate heart and mind, aka get one in the mood, for the National Arts Festival, which opens on Thursday and runs until July 10. The road to Grahamstown from the airport that most locals, students, actors, producers and a selection of international talent scouts use to access the town is beautiful in a truly South African way, that is to say it makes one feel a little uneasy, even maybe just a tad heartsore. There is something about the Eastern Cape that feels at once familiar and brand new. To so many people the heartland of South Africa, this region always makes me feel that I can see what I call my memories of the future, that bitter-sweet mixture of nostalgia and hope. 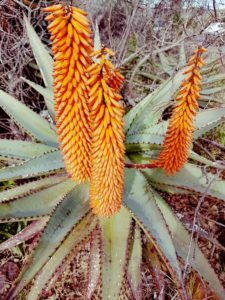 The hills and koppies are scorched and dry, yet the aloes are everywhere and bright fiery red in full bloom. Parts of the road are absolutely world-class, feeling super smooth and safe. But then of course there are the roadworks, evidenced by backed-up traffic, blocked off lanes and lines of men and women in the sun waving red flags to slow motorists. By the time one arrives in Grahamstown you are reminded that this place beats to its own drum. 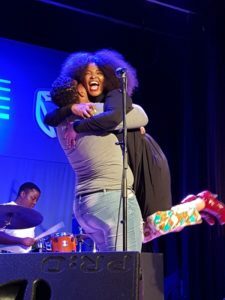 The university town and its 70,000 full-time residents welcome tens of thousands of fans of the arts from all over the world every winter at the biggest annual celebration of the arts in Africa. 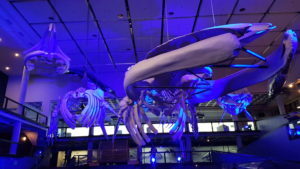 The National Arts Festival is a truly international, world-class affair, but it is also a quirky little number, quite unlike anything else in the world. The 11-day programme comprises drama, dance, physical theatre, comedy, opera, music – including plenty of jazz, art exhibitions, film, student theatre, street theatre, lectures, a craft fair, workshops, tours and a children’s arts festival. Thursday’s hottest ticket seems to be Janni Younge’s production of The Firebird, which opened for a very short run in Cape Town at the weekend. Described as a “thrilling multi-sensory journey”, the combination of dance and puppetry is on in Grahamstown before heading to LA for a run at the Hollywood Bowl no less. As if there was not already magic enough in the Russian fairytale about the glowing bird, this production uses giant puppets and features dance which has been infused with tribal rhythms and more than a nod to African folklore. 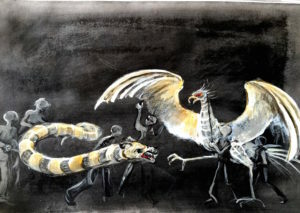 Younge – of the Handspring Puppet Company – has set it to Stravinsky’s original score. Choreography is by Jay Pather. Performers in this production include Jackie Manyapelo, Craig Leo, Shaun Oelf, Beren Belknap and Zandile Constable. Costume design is by Birrie le Roux, with lighting design by Mannie Manim. 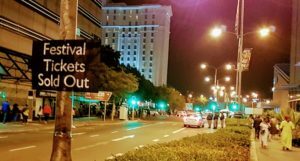 The National Arts Festival is an important platform for new and groundbreaking artistic work such as Firebird; it also has a long history as a forum for political and protest theatre, especially during the apartheid era. 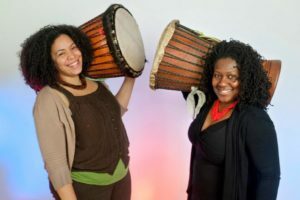 Ladies of Midnight Blue, showing on Thursday afternoon, an Afro-Latin percussion and brass duet, look likely to resonate with the protest theme. They have performed all over the world at festivals, charity benefits, peace rallies and protest marches. The ladies, Hannabiell Sanders and Yilis del Carmen Suriel, “facilitate music workshops that focus on community building and raising awareness concerning issues of inequality on all levels”. 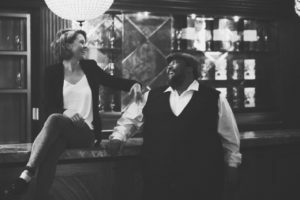 Their foot-stomping music, powerful and upbeat combinations of percussion, brass, vocal chants and mbira arrangements inspires dancing and calls for audience participation … and might even start a riot. Firebird and Ladies of Midnight Blue are just two of so many shows, but one must not think about the fact that to choose a show means to miss so many others. 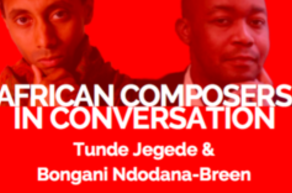 In a stroke of creative mastery, a media company that is set to transform the music scene in Africa has helped a diverse group of African musicians create a hauntingly beautiful piece of music without ever meeting one another. 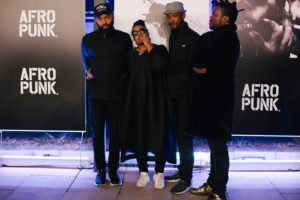 The nine artists, who were all carefully selected by the media company Bozza out of more than 200 applicants from across Africa, collaborated entirely over WhatsAPP. From later this month Bozza will enable these and other artists to sell their music directly to fans using mobile wallets. This will allow music fans who don’t have internationally acceptable credit cards to buy content online. Importantly, it will also cut out the middleman, meaning artists will no longer get just a small share of the money their music generates. The haunting beauty of the track, We Are One, which seamlessly combines languages, styles and traditions, belies the complexity of the process. 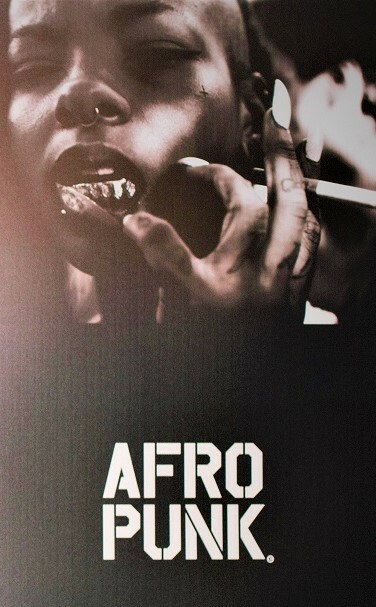 Last year Bozza put out a call for submissions for the project to its base of more than 10,000 African artists and the nine were chosen. They did not meet up, but created strong bonds through WhatsApp, chatting and sharing files as they collaborated to produce a single piece of music that represented them all. 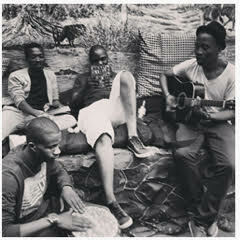 The artists have totally different styles, from hip hop through rap and kwaito to traditional music. Some of the artists are up and coming in their countries with little experience or training, others are already established as icons in their worlds. 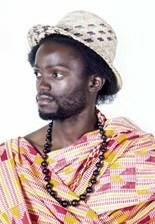 Zambian singer Mumba Yachi, for example, grew up steeped in musical tradition with a variety of influences. 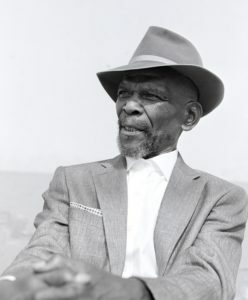 His mother sang in church while his father was a fan of various African artists, including Franco Luambo, Makaidi and Fela Kuti, as well as reggae legend Peter Tosh. Determined to become an artist, Mumba learnt how to play the guitar at 16 and has gone on to become one of Zambia’s most beloved artists. 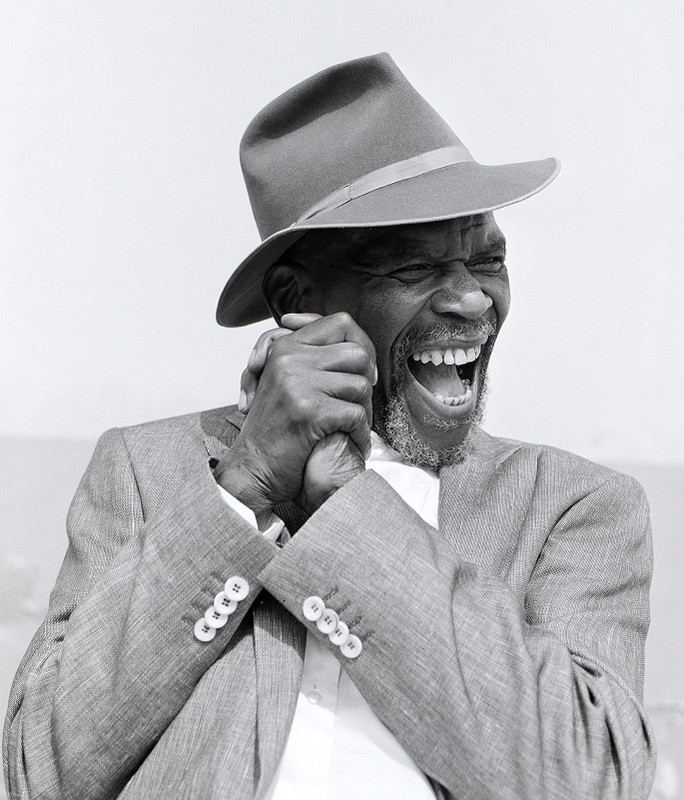 His music has earned him recognition by the United Nations Development Programme. Mumba’s music, folk-rooted with nods to Afro beat and world music, resonates strongly with his African roots and his values, from respect for nature to the importance of the continuing emancipation of women. 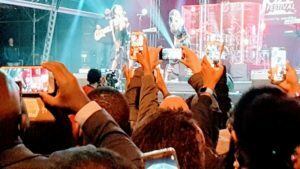 Bozza, which has established itself as a showcase for African talent, will be enabling artists like these to sell to fans anywhere in the world. Artists frequently get a raw deal, taking home a very small share of any revenues their music generates. 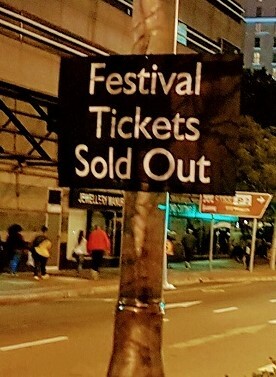 This will soon change when Bozza introduces new payment options for consumers all over the world wanting to buy African music. 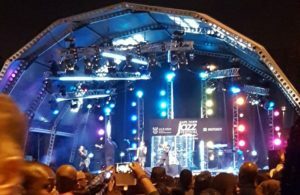 Bozza will this month roll out a service enabling artists to sell their content directly to fans, including those who do not have a credit card that is accepted internationally. They will be able to use mobile wallets, the predominant form of mobile payments in Africa, to buy content online. 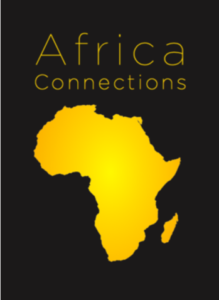 Bozza’s online platform serves US and European markets, as well as African markets that demand contextually relevant content. Music is delivered to mobile devices including older feature phones. The company can distribute music and videos to any connected device, including more than 3,000 types of mobile phones, not just smartphones. Emma Kaye, Bozza founder and chief executive, said: “Mobility has huge socio-economic, educational, commercial, societal and individual significance. Emerging economies have been hugely resourceful in using mobility in socio-economically important ways, to empower musicians, filmmakers and poets. 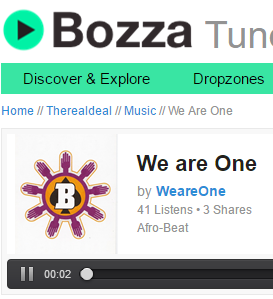 Bozza looks set to become the eBay for African music and film. The oldest of seven sisters, Scarlet grew up in a musical family, with her father playing guitar and her mother singing. 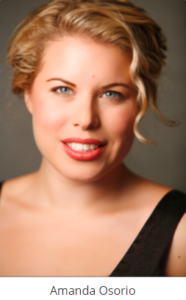 Her earliest musical memories are of the jazz her father used to listen to. 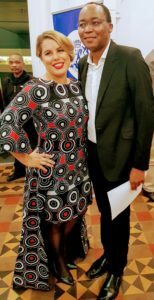 A linguistics and literature graduate, it was taking part in a reality talent search that started her on her journey with the mic. Her debut album, Unforgettably Yours, was released in 2012. Scarlet is a youth ambassador in a programme run by the U.S. embassy in Zambia, a member of the Lusaka hub of the World Economic Forum’s Global Shapers initiative and a brand ambassador for the Kayula Childhood Cancer Foundation. She describes her music as “an eclectic mix of jazz, soul, Afro beat and funk sitting on catchy melodies and carried by strong vocals … a yummy mixture that we like to call Afro funk music”. Seun, the co-ordinator of ExTasI band, has built his musical canon within a variety of contexts, from dance through therapeutic to hymnal and choral. 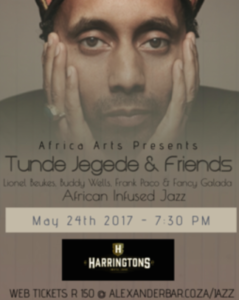 Seun describes his band as “uncommon thinkers who are also recording artists, scholars and directors [who are] set on a phrenic and theosophic quest that stretches music beyond aural sensibility into the threshold of touch, sight, taste and smell”. Albums to his credit are Home Made (2006), Farewell (2013) and Free Spot Show-Live (2015). Seun hosts a weekly live music show, the Free Spot Show, at Freedom Park in Lagos, Nigeria. Winners of MTV’s Kick Start My Band Into Gear competition 2015, BlaQ2sday switches confidently between genres, from jazz through trap and electro to hiphop, house, funk, rock and dubstep. 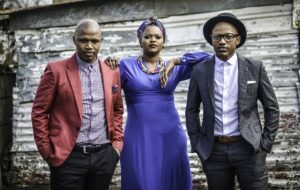 Founded by Tshitso Makunyane and Mkhulu Tshabalala in 2011, BlaQ2sday was later expanded to include Pitso Mofokeng, Molefe Sefatsa and Thabo Moralo, who started as the band’s photographer but is now a percussionist. 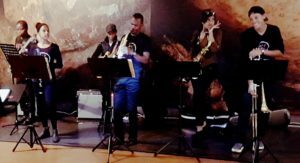 Dedicated to live performance, the band describes itself is “oozing inspiration to keep on creating what makes the world go round: music!”. Mumba Yachi grew up surrounded by music. 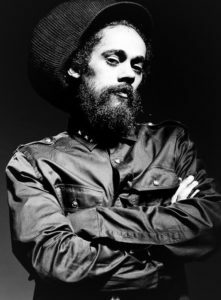 His mother used to sing in church and his father was a fan of various African artists, including Franco Luambo, Makaidi and Fela Kuti, as well as reggae legend Peter Tosh. 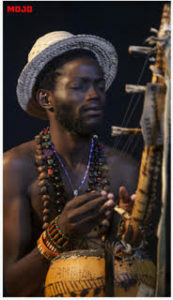 Mumba, who learnt to play guitar at 16, was determined to be a musician. He is now one of Zambia’s most beloved artists and has been recognised by the United Nations Development Programme, having been selected to be a music ambassador for the HeForShe global campaign that encourages men and boys to be part of the cause to empower women. Mumba’s music, rooted in folk with hints of Afro beat and world music, resonates strongly with his African roots and his strong sense of humanity, touching on topics close to his heart such as respect for nature to the emancipation of women. Cape Town-based Rheebongs started writing and rapping in 2003 after falling in love with hip hop during his high school days. The co-founder of M4M Records, an independent record label aimed at grooming and training upcoming artists from Cape Town, Rheebongs is considered as one of the pioneers of Spaza music. 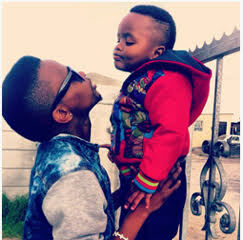 Rheebongs was recognised by Bozza.mobi, which offered him a digital distribution deal, making him one of the first hip hop artists from Cape Town to release music digitally. Maureen, who started her musical career as a teenager, has 35 years in the music industry and five albums to her name. She is backed by Ashilile, a band of six instrumentalists that plays a fusion of traditional Zambian and western music. 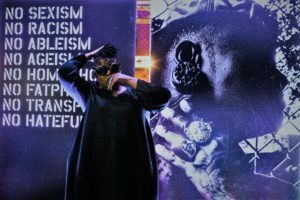 Maureen has collaborated with and shared stages with a wide array of artists, from the Malmo Symphony of Sweden to Baaba Mal of Senegal, as well as Seal. Among many awards and accolades, Maureen has won CEO Africa’s Most Influential Women Awards for Arts in Zambia and the SADC region. 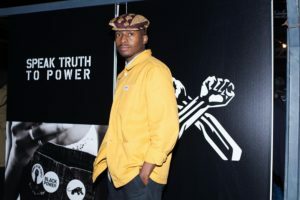 Buntu Jobela, pictured, who hails from Cape Town, is a self-taught artist who has developed his work from spoken word to hip hop. This very talented young man is gaining a significant following with his powerful work, which is layered with thought and meaning. Not a lot is known about him but he is certainly building a following. This talented young man is tipped is one to watch! 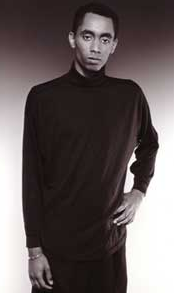 Teasar was born in Jamaica to Nigerian parents, which makes for a rich combination of musical influences. The self-taught artist started making music at 11. Now, as the Nigerians say, he hustles his way in the music scene and works with great sound engineers and producers, creating music played in clubs. 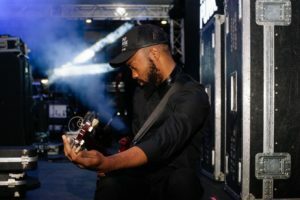 The hip hop recording artist and songwriter Atanga Schneider Ngomah aka Ngoma’s love for music began at a very young age, his parents and four siblings providing an early audience. His unique sound combines local sounds from the 90s with contemporary urban style, with rap in four languages – English, French, ‘Pidgin’ English and Ngemba (his native tongue) – adding to the mix.